WEDNESDAY, Jan. 25, 2017 (HealthDay News) -- Overuse of antibiotics triggered a severe diarrhea outbreak in British hospitals that began in 2006, a new study reports. Researchers analyzed hospital data related to the outbreak of Clostridium difficile, a "superbug" gut infection. The investigators concluded that reducing the use of fluoroquinolones -- antibiotics such as ciprofloxacin (Cipro) and levofloxacin (Levaquin) -- curbed the outbreak. "These findings are of international importance because other regions, such as North America, where fluoroquinolone prescribing remains unrestricted, still suffer from epidemic numbers of C. difficile infections," said study co-author Derrick Crook. He is a professor of microbiology at the University of Oxford in England. Overuse of fluoroquinolones enabled antibiotic-resistant C. difficile to thrive because non-resistant bugs in the gut were killed off by the antibiotics. This left the way clear for rapid growth of antibiotic-resistant C. difficile, the researchers explained. "Emergency measures -- such as 'deep cleaning' and careful antibiotic prescribing -- were introduced [after the outbreak began] and numbers of C. difficile infections gradually fell by 80 percent, but no one was sure precisely why," Crook said in a university news release. "Our study shows that the C. difficile epidemic was an unintended consequence of intensive use of an antibiotic class, fluoroquinolones, and control was achieved by specifically reducing use of this antibiotic class, because only the C. difficile bugs that were resistant to fluoroquinolones went away," he explained. Meanwhile, the smaller number of cases of diarrhea caused by C. difficile bugs that were not resistant to fluoroquinolone antibiotics stayed the same. 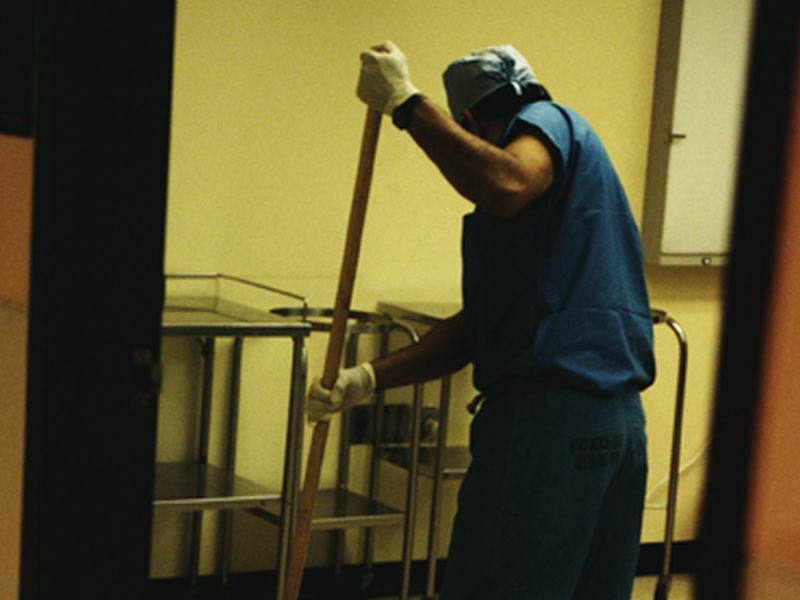 "Reducing the type of antibiotics like ciprofloxacin was, therefore, the best way of stopping this national epidemic of C. difficile, and routine, expensive deep cleaning was unnecessary," Crook said. "However, it is important that good hand hygiene continues to be practiced to control the spread of other infections," he added. The study was published Jan. 24 in The Lancet Infectious Diseases journal. According to the U.S. Centers for Disease Control and Prevention, C. difficile sickened almost half a million Americans in 2011. An estimated 29,000 of those patients died within a month. Most of these infections happen in the hospital, the CDC says.